I am currently struggling with a mathematical problem and can't seem to get it solved. I have a bunch of rotated rectangular polygons (solution should also work for non-rectangular polygons) in different shapefiles. 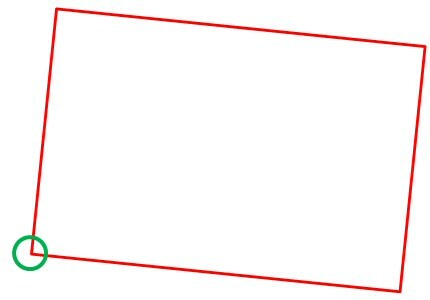 I want to (automatically) find the lower left corner of each of the polygons using python (arcpy). Here's a very simple approach that offloads all the processing into the Sort GP tool. Since you have access to an Advanced license, sorting by shape and starting at the lower left corner gives quick results. 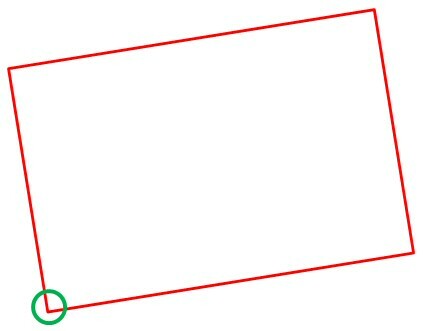 To deal robustly with these cases, you could use an approach that calculates the medial axis of the shape (https://en.wikipedia.org/wiki/Medial_axis), compares it's slope to 45 and 135 degrees, and determines the "bottom" and "top" of the shape compared to that. Then progress as above, with the west-most point of the two "bottom" points being the point to choose. That would work in two of the above illustrated cases. It would still fail in the case of a perfect square in "diamond" rotation - but then there's no "natural" bottom-left corner to that shape. 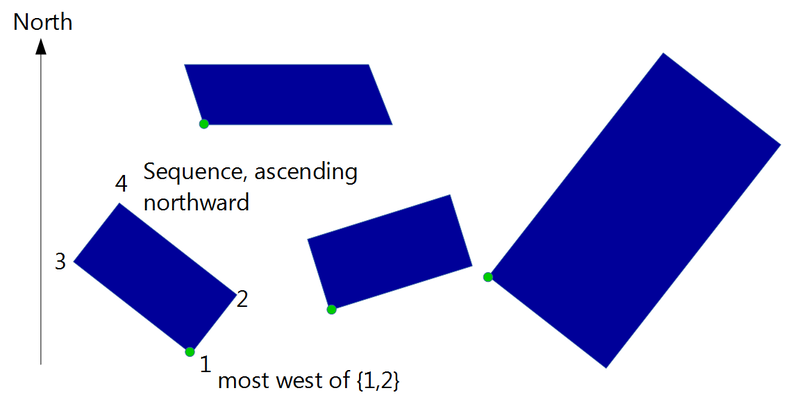 Another way to deal with these cases where points 2 and 3 in the vertical sequence are at equal latitude is to actually take point 1, the south-most point; or the west-most point among 2 and 3. Not the answer you're looking for? 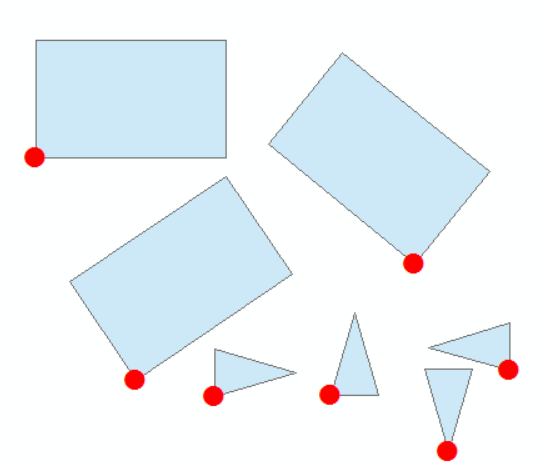 Browse other questions tagged arcpy polygon vertices angles or ask your own question. Determining Y coordinate for Create Fishnet from desired Angle of Rotation using ArcPy/Python? Understanding use of extents in ArcPy? Is centering existing polygons on a point layer possible? Extracting xmin, xmax, ymin, and ymax values from circular polygons in ArcGIS for Desktop?